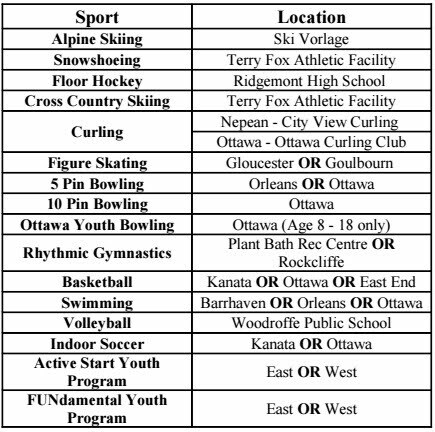 The registration days for Fall/Winter 2016-2017 sport programs have been announced by SOO - Greater Ottawa. Athletes will be able to register in-person on either June 17th or June 23rd. Mail-in registrations will also be accepted and processed after June 24. First time athletes must register online at http://athlete.specialolympicsontario.ca/ before signing up for a local program in order to become a member of Special Olympics Ontario. Program costs will be announced in the near future. Registration forms will be available at the Registration Day locations.